Budweiser Brew No. 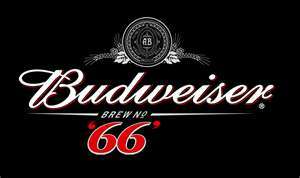 66 is a 4% alcohol by volume lager that is brewed and distributed in the United Kingdom by InBev UK Limited. Launched in July 2010, Budweiser 66 is the newest member of the Budweiser family of beers with only 66 calories.